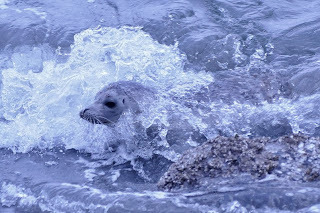 I went to Alki beach again this morning to look for the River Otters.....no luck. 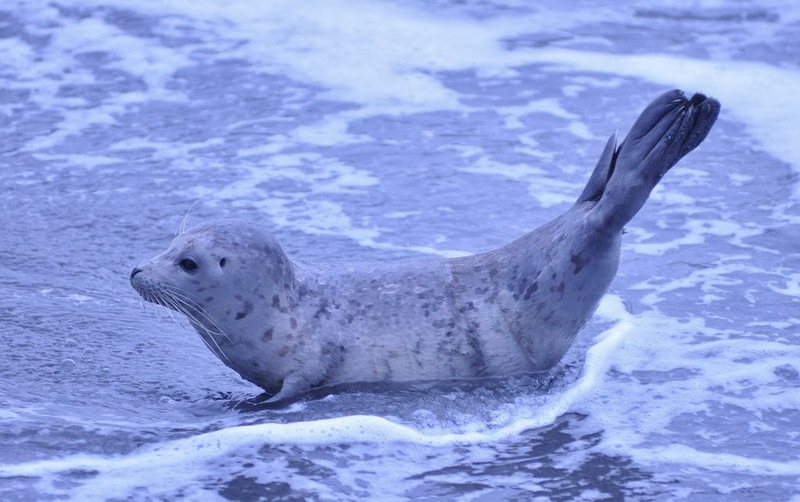 A Harbor Seal pup that has been weened arrived and hauled-out at Duwamish Head. 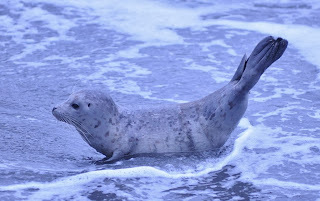 This is a healthy looking pup likely a couple of months old. The lines on the side of the pup are called blubber rolls or lines. 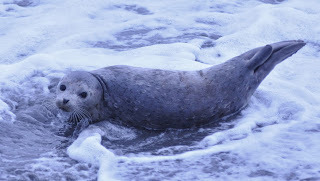 There was not much beach and a rising tide so after fighting the wave action for about 1/2 hour the pup went back in the water....sort of picked the wrong time and the wrong beach to take a nap. 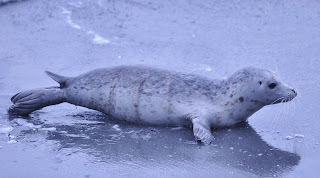 These pups need lots of rest time....at least 50% of their time is spent out of the water to rest and conserve heat. 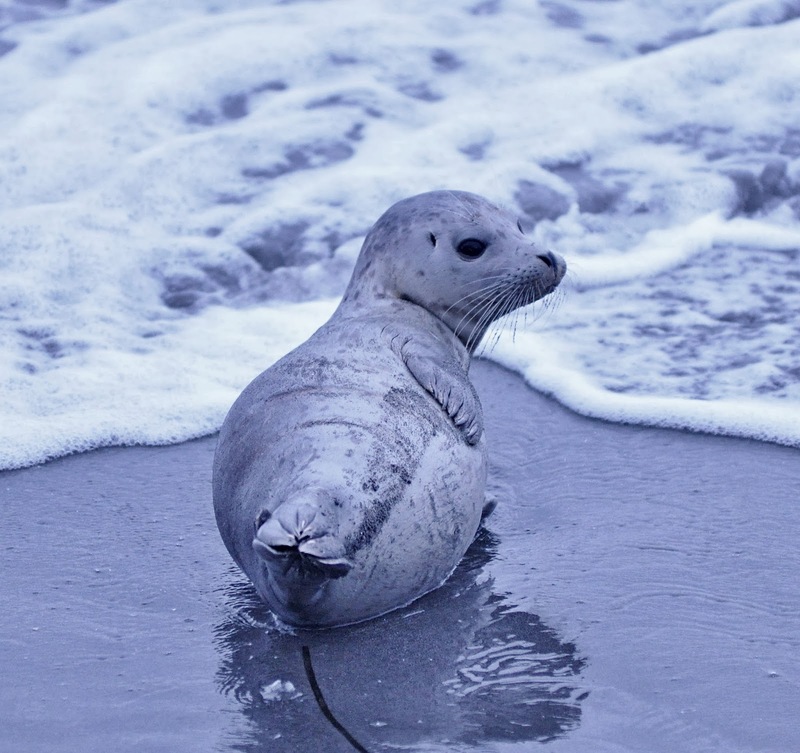 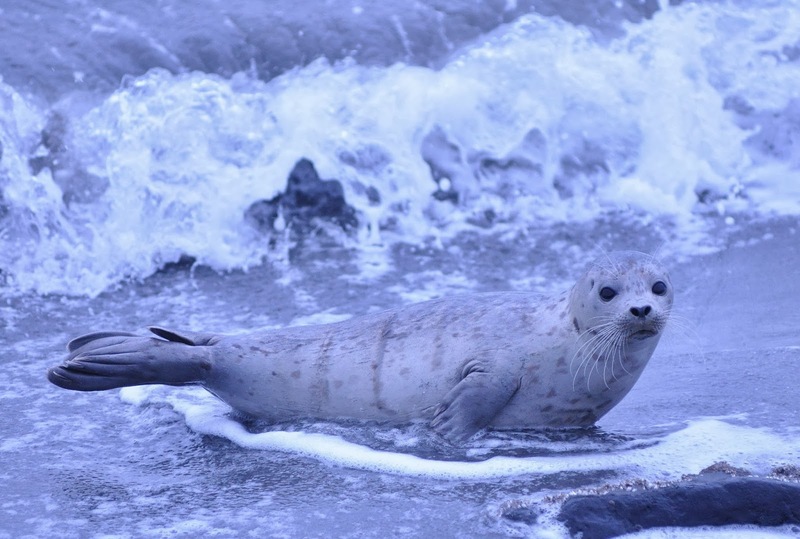 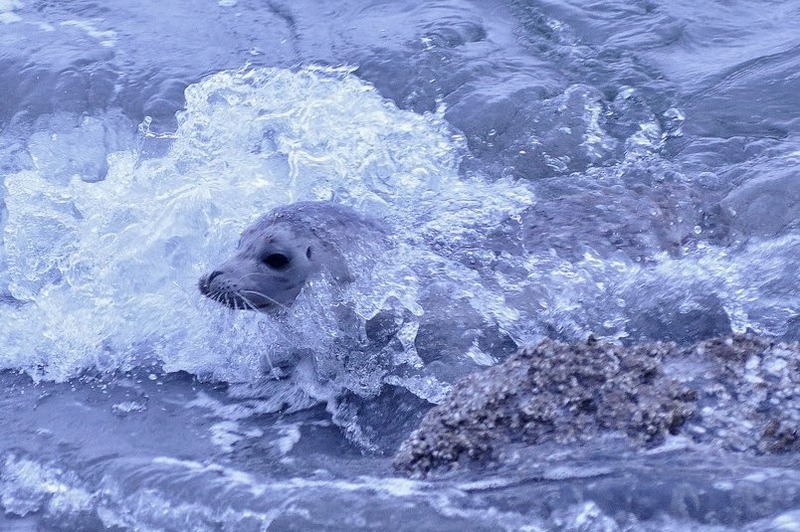 Seal Sitters is a non-profit organization the monitors the seals when the come ashore to ensure they are not disturbed by people or dogs. 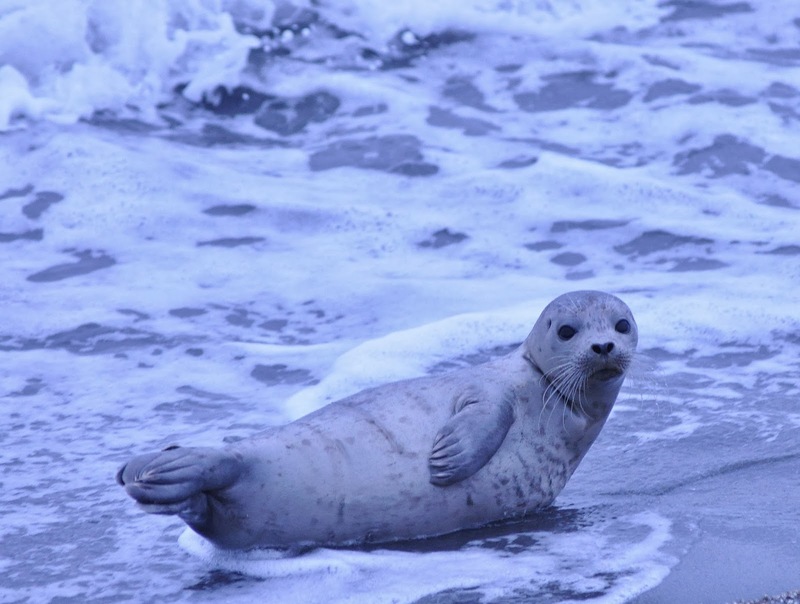 If you at a West Seattle beach and see a seal on the beach please call Seal Sitters and notify them of the location. 206-905-SEAL.